Where to find your free ministry money! This morning was an exceptionally cold morning for this California girl. The temperature was 40 degrees with a planned high of 66. Yes, that’s freezing for us! As I headed downstairs, donned in sweats, I grabbed my robe and threw it on, and jackpot! A crisp ten dollar bill in the pocket! I know every adult has experienced this, finding a five in the laundry, a ten in a coat pocket, or even a twenty in the abyss we women call a purse. It’s exciting! However, in the moment we are completely thrilled about this free money, and we forget it was ours in the first place. While it was a fun surprise, I couldn’t help but wonder, where did I think it went? That ten dollar bill was useful funds I had been blessed with; did I even notice it was gone? I can answer that. Nope! I had completely forgotten about it. This made me think of other resources like food, energy, time, and the gifts we have been entrusted to manage that belong to our heavenly Father. This of course led to ministry thoughts. Starting in 1995 my husband and I moved into the parsonage of a small Free Will Baptist Church, and started full-time ministry. On our first Sunday, I noticed there wasn’t one child in attendance. Later that week, I did some self-guided tours of the small campus that consisted of two large buildings and made quite the discovery—classrooms! They were there, had crayons, little chairs, little tables, and flannel boards that were as old as I was. The church was a small country church, and had a general budget, but no children’s ministry budget. Over the course of a year, God placed the right people in my path to start a fully functional children’s ministry and that saw about 45 children consistently. Thanks to creativity, we were able to survive a whole year with few requests for money from the general budget. I truly believe this was training for the day when I would have to maintain a Children’s Ministry budget. Thank you Oswald! How much more could I be doing with my ministry if I was really in this mindset? So rather than cut off spending, I had my team do the following things, it’s proved to conserve our budget, help local and foreign churches, and teach our kids a little lesson on stewardship. 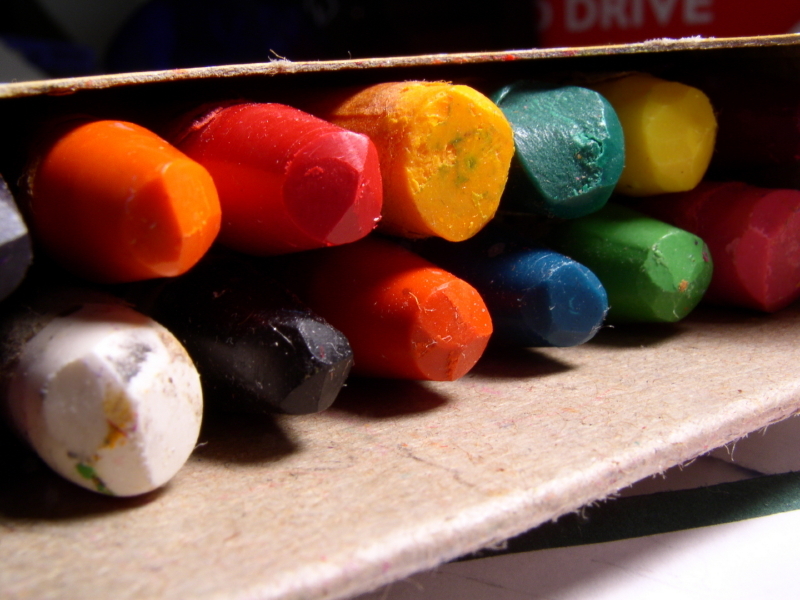 Take inventory—Collect the leftover craft kits, the broken crayons, and the excess curriculum. Donate—Leftover curriculum is pure gold to missions. We always have someone going overseas, and when they do, sending them with tools to take to the kids is awesome. Plan—All those mismatched crafts can be used. Almost every park outreach we do consists of a craft table. Rather than buy more, we have opted to use what’s on hand. This is also a great opportunity that your ministry kids can be involved in since they’ve done the crafts before. Evaluate—Why do we have abundance? Some is okay, but to simplify future orders is key. Manage—Remember the glue sticks? We now keep them in Ziploc bags to prevent drying out. Some items are a must, so finding ways to preserve them is important. Bless—Is there a significant amount of something we can share? Like donating a boxed curriculum that can be reused to a church with no kid’s budget? Yes! Whether you are on a small budget, no budget, or a mega budget, our resources are God’s, and He cares about how we use them. How we manage them shows how we as leaders value them. I would love to be accused of “Giving God the best of what He has given me.” So leaders, go snoop around and see what you find. I bet you find loads of cash in your kid’s ministry cabinets! Wait! The broken crayons! Yes, they should be rescued! Remember putting crayon shavings between waxed paper as a kid to make sun catchers? Perfect summer day camp project! Great Job! Super proud of my wife ! Proud mother of this young lady that I am blessed to call Daughter. I love her so much and am very proud of the Christian Woman that she has grown into. Great article!! Grandma would be so proud!! God is smiling at you Heidi! What a blessing you are to His Kingdom. I’m amazed by your article sweetie. Seeing you when you were just a little girl and now a grown mature Christian wife mom ministry leader etc is a blessing to my heart. Your mom is absolutely correct mom Clara would/is so proud of you. I know I am. As a non-family member and children’s ministry director of a mid size church in a Minneapolis suburb, I too love this article! Thank you Heidi for reminding us that our supplies are God’s, and we should treat them wisely and with care. Donating, reusing, and getting creative are GREAT things for the kids to learn!